Cape Town, January, 31, 2019: EDSA is an outpatient treatment centre for individuals with eating disorders or who have suffered from various forms of trauma. The centre will open in Constantia Cape Town in March at 8, Klein Constantia Road under the Recovery Direct banner. “I wanted a central location so we can reach as many people as possible,” says marketing manager Doug Kemp, who has a played an intergral role in the establishment of the Recovery Direct treatment centres for non-12step addiction treatment facilities. Though treating eating disorders will be a particular focus, Kemp says he wants the centre to be “for any person that has trauma that they’re wanting to work through.” That could be a physical trauma or something that’s manifested as anxiety, anger or depression. Kemp says that healing trauma that’s been stored in a person’s body “is something that is new in the field and far more innovative and constructive and effective than the majority of treatments presently offered within the industry in South Africa.” Staff members will include a variety of professionals, such as psychologists, dieticians, nurse practitioners, psychotherapists that are what Kemp calls a “trauma-informed” specialists in their field. The centre will have a soft opening in early March 2019. Updates can be found on the dedicated Eating Disorders Website or on the following pages associated to the Eating disorders community in South Africa. 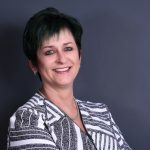 (Residential ED private care treatment centre) (National ED awareness programme and outpatient help centre) (Free dedicated national help line) "The distinctions between Recovery Direct Eating disorder residential programme and the other residential treatment programmes offered in South Africa are that Recovery Direct's centres do not follow the 12 step treatment model. Recovery Direct's focus is on delivering far more intensive evidence based (one on one treatment sessions) via the registered psychologists and . . . Proudly South African kicks off 2019 with East London Forums As part of its national awareness campaign for increased local procurement in both the public and private sectors, Proudly South African will kick off the 2019 calendar with two forums in East London at the end of this month. Focusing on the private sector and the benefits of increasing levels of local procurement through the entire value chain, Proudly South African will present a business networking forum on 30th January taking the opportunity to connect with existing member companies in the province and with any company interested in learning more about the benefits of becoming part of the movement. The focus for SMEs here will be on the financial and non-financial development programmes available to them from both the private and public sector. As the largest procurer of goods and services in the country, government has legislated local procurement levels for certain items under the Preferential Procurement Policy Framework Act and Proudly SA will address public sector procurement and supply chain officials on their roles and responsibilities in this regard on 29th January. Both events will take place at The Venue, Hemingways Casino in East London with registration from 08h30. Attendance is free of charge, but delegates are requested to register beforehand. Public Sector Procurement Forum, 29 January RSVP nadiar@proudlysa.co.za Business Forum, 30 January RSVP phumzile@proudlysa.co.za CLICK HERE to submit your press release to MyPR.co.za. . . . 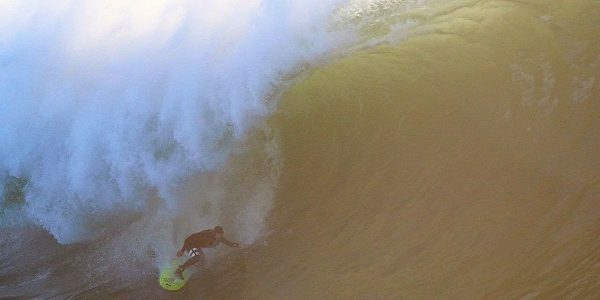 While many experiences the year ending as a time filled with exciting thoughts of the upcoming holidays' others have an entirely different experience. For some, it’s filled with the dread of being exposed to the hole left by the absence of work while others are confronted with memories of lost loved one and better years. There are many things which can taint our experience of the holidays. Fortunately, all of them can be worked through or managed, and therapy helps. If you have the sense that this might apply to you, then now is the time to plan and set up the support you’ll need. First prize is to have a schedule that ensures you spend time with people who love you and who can be there for you. If this is not available, you need more, or can’t bear the thought of leaning on others; there is still time to arrange professional help. Establishing contact with a therapist is enormously helpful, even if you can’t begin sessions immediately. Merely knowing that you have started looking into a healing process or book a meeting for next year can produce enough hope and relief to carry you through. But where does one find this help? If you have access to private medical care, then you can consider approaching your GP and asking them to refer you to a counsellor or psychologist in your area. Those who don’t have such access can visit their local community clinic and ask the attending sister to please place you on the psychology waiting list or to refer you to a nearby clinic that can provide the necessary help. The very idea of approaching a doctor or sister is often so daunting that some people never take this first step. If this applies to you, you’ll be happy to know that several websites help you find the services you need. TherapyRoute.com is a good place to start. 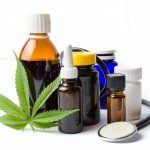 This platform includes informative articles, lists private practices as well as non-profit and community service facilities, automatically displays the services nearest to you and helps you . . . Calling all teachers: Show our forests some love and win a trip to Rome! JOHANNESBURG, DECEMBER 3, 2018 - Trees are very important as they provide our planet with essential environmental services while also giving us jobs, products and fun. To celebrate the many fantastic things about forests, both natural and planted, the Food and Agriculture Organisation (FAO) is running a competition ahead of International Day of Forests on 21 March 2019. The prize: a trip to Rome! According to FAO, "the 2019 theme for the International Day of Forests is ‘Forests and Education’ and we want the world to know how you educate children and youth about the importance of trees and forests. Today, when more than half the world’s population lives in cities and are increasingly disconnected from nature, it is more essential than ever to bring an understanding and awareness of forests and their benefits into children’s lives at an early age.” FAO is inviting teachers, educators and parents to produce and submit a short one-minute video that shows how you impart a better understanding about the importance of forests and trees for our planet’s future. This could be a video of a traditional class, nature walk into a wooded area or plantation, a local park with trees, an artwork, a song or music lesson or even an exercise class. The Paper Manufacturers Association of South Africa (PAMSA) and Forestry South Africa have put together some resources with specific facts on the South African forestry and forest product sector. Visit the special page on www.forestryexplained.co.za for more information. Deadline for entries is 15 December 2018. (We recognise that this is after schools break up for the SA summer holidays. It could however be a fun activity for these last few weeks of school.) How do I enter? To enter the contest, just follow these steps: Make a short video that shows how you teach children and youth about the importance of forests. The video should not exceed 1 minute and can be produced with any professional or non-professional device . . . 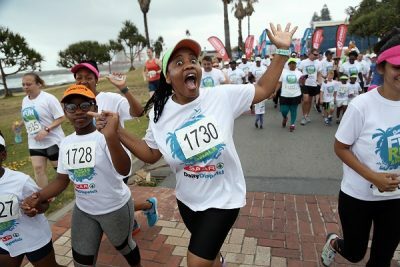 The SPAR Daily Dispatch Summer Fun Run on Sunday confirmed its immense popularity with the East London community when the number of participants more than doubled from 2017. Around 2 500 enthusiasts entered the event from the Orient Pools on the city's Esplanade, with the majority taking part in the 4km distance. Daily Dispatch advertising manager Suren Packery said the family emphasis of the event was clearly demonstrated, as was the focus on supporting those with physical disabilities. "We have seen exponential growth in our disabled participants and growth in families doing it together," he said. "For instance, we had entrants from month-old babies in prams to an 82-year-old doing the race. "About 300 people did the 8km, who were the more serious runners and walkers, while over 2 000 people did the 4km." Packery added that the wheelchair-friendly nature of the course was a key factor and a big incentive for those with disabilities to take part. "We had group entries from Life Healthcare Rehabilitation Unit and We Can Run, who focus on children with disabilities. "PNA East London [a stationery store] sponsors wheelchairs to be given out in East London and they brought their team to the event, while this year's beneficiary was the Sweethearts Foundation [who raise funds to buy wheelchairs for those in need]." The day, he said, had expanded to offer a range of activities, including a jumping castle, beach volleyball, beach tennis and Frisbee games. In addition, Packery said the association with SPAR Eastern Cape was proving a success. "The union is harmonious and we communicate to the same markets. "The race is family-driven and encourages all ages, while the synergy with our event being the only wheelchair event in East London and SPAR's Wheelchair Wednesday campaign is perfect." Daily Dispatch marketing manager Jennilee Peremore said the event played a big role in their annual programme. "We're proud that the event has more . 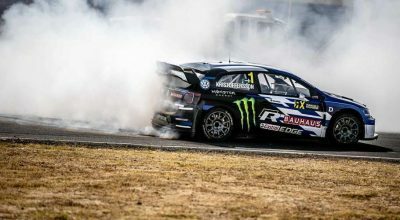 . .
Killarney - Continuing the form that has seen the 29-year-old ace take two consecutive World RX Drivers’ Championship titles, and win every race this year except for one (round three in Belgium); Sweden’s Johan Kristoffersson romped to victory at every wheel turn at the 2018 World RX of South Africa. In all, Johan was one win short of a perfect score weekend - netting three qualifying race victories - ranking him as top qualifier overall - followed by a semi final and final victory at the Killarney Raceway in Cape Town. “What can I say? Winning is what we are here for,” said Johan about the victory. “This win really means a lot – and I know I’ve said that every time I’ve won a race, but it’s really true! When you come to the last race of the season, it’s really important to go to the winter with a win. We all know you’re only as good as your last result, so to start round one in 2019 off the back of this is nice.” Talking more about his incredible year, Kristoffersson revealed one disappointment. “Winning 11 from 12 is really nice – makes me a little bit frustrated about [World RX of] Belgium where [Sébastien] Loeb won – but that 100 per cent record gives us something to work towards next year!” joked the champion. “To make nine wins in nine races is also something special for me. I remember watching Sebastian Vettel winning the last nine races of the 2013 [Formula 1] season and just thinking how incredible that feeling must be, to have so much success in one season. And now I have done just that. Unbelievable. I will never forget this season, it’s such a special one.” Unfortunately for teammate Petter Solberg, his run of 2018 bad luck continued in South Africa, despite blistering performances throughout the weekend. Qualifying fourth overall, Petter went on to win semifinal two and lock out the front row of the event’s main final alongside Johan. However a spin, and contact with rival Timmy Hansen, on lap two of the final ended the triple world . . .
An occasion the whole family can enjoy is the underlying theme of the SPAR Daily Dispatch Summer Fun Run, which takes place in East London on Sunday November 25. The event includes 8km and 4km races and the sponsors believe it is the perfect opportunity to herald the start of the festive season, with a strong fun element built into the programme. A big part of the two runs is that they are wheelchair friendly and Daily Dispatch general manager Ryan Megaw said this aspect was growing every year. "Approximately 1 200 people enter the two events," he said. "It is increasing annually and we are getting more and more interest from those who are in wheelchairs. "We feel we have an offering which provides something for everyone in the family, making it one of the most inclusive events. "The 4km run or walk has become extremely popular because it is a distance which suits many people who may not be able to manage the 8km distance." The event has adopted the Sweethearts Foundation as its charity this year, which ties in with raising the profile of those in wheelchairs and aligns itself with the race's characteristic of being wheelchair-friendly. By collecting plastic bottle tops and bread tags for recycling, the Sweethearts Foundation has raised money to fund 294 wheelchairs, which have been handed over to needy beneficiaries. 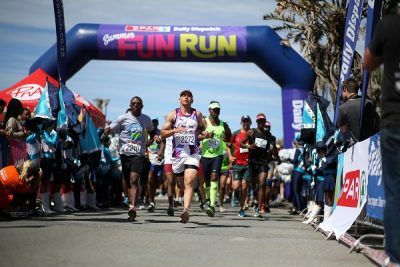 SPAR Eastern Cape sponsorship and events manager Alan Stapleton said they were proud to be part of the Summer Fun Run as a prelude to the East London festive season. "It's an unofficial extension of our Women's Challenge that has a strong family and fun feel to it," he said. "Secondly, the race echoes our involvement in assisting those with physical disabilities and the Wheelchair Wednesday initiative as it caters specifically for participants in wheelchairs." He added that the connection with the Sweethearts Foundation was linked to SPAR EC's commitment this year to declare war on plastic. The Eastern Cape company . . .